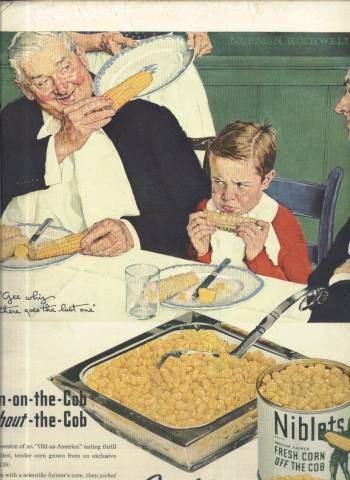 Collecting Norman Rockwell in magazines with a focus on Norman Rockwell ads. 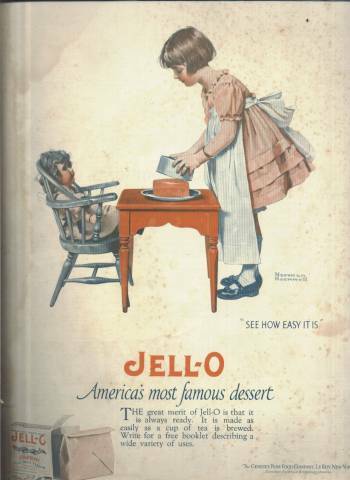 A site about collecting old magazines needs to include something about Norman Rockwell, but since there is already so much information available I thought it’d be more interesting to create a page about Norman Rockwell ads. 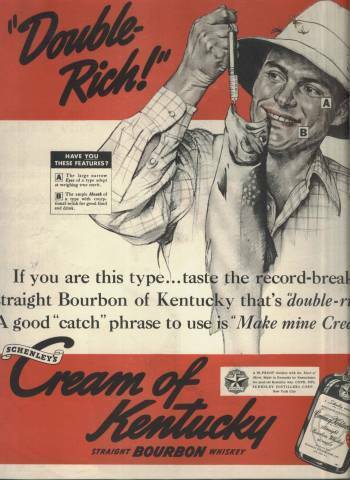 The money’s in the Rockwell covers, but the completist is going to want the ads as well! 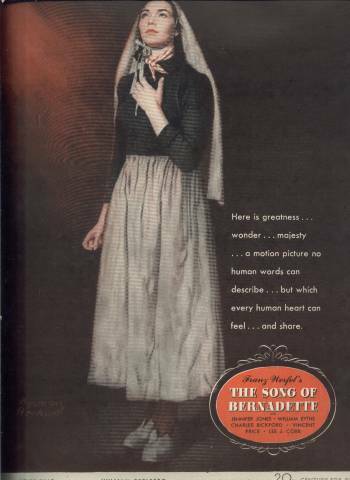 First, let me say that if it’s the covers you are after then Best Norman Rockwell Art.com has the best list I have seen online. I’m in no way affiliated with that separate site, but will swear by them as my print-out of their lengthy Rockwell cover checklist has already made me a good amount of money. I sell a lot of magazines and doing so I like to page through each issue and compile the contents for my sales listings. 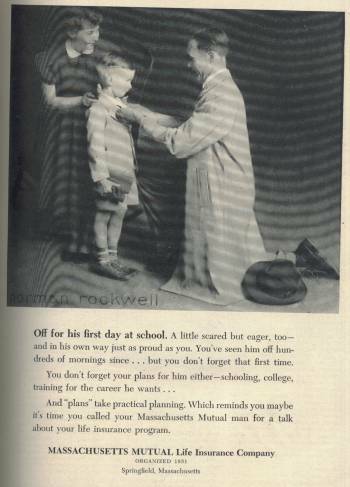 Whenever I come across Norman Rockwell ads I not only note it, I stop and scan it to be sure that I include a copy of the collectible image in my sales listing. 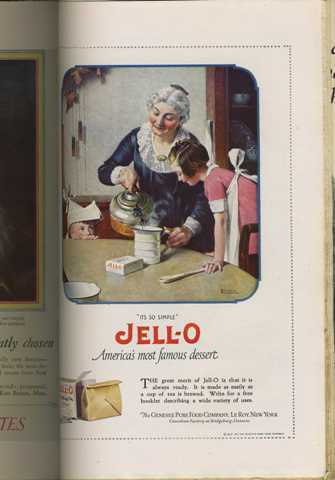 While putting this page together I went back into my archives and pulled all of the Norman Rockwell ads that I could find for inclusion here. You’ll find them arranged in chronological order of publication immediately following the text on this page. 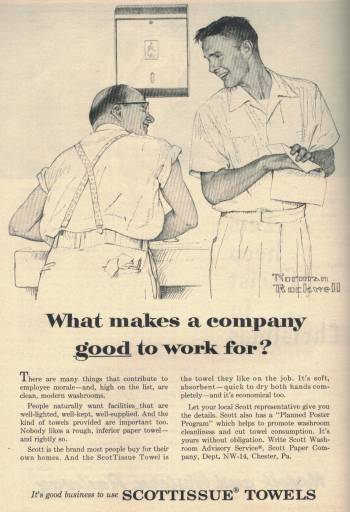 Before we get to the Norman Rockwell ads, I do want to include a very brief run-down of his overall importance to us as collectors. The first major publication to bear a Norman Rockwell illustration on its front cover was the September 1913 issue of Boy’s Life. But it would be Rockwell’s relationship with the Saturday Evening Post, begun with his cover for the May 20, 1916 issue, which would in time make his work the most identifiable and eagerly anticipated cover art in the world. The most sought-after Norman Rockwell Post cover is probably the May 29 1943 featuring his “Rosie the Riveter”. 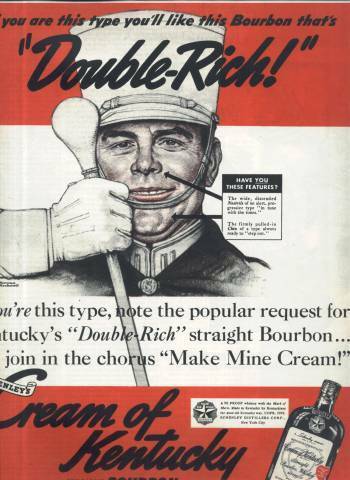 Other popular war-time covers were a series featuring a character named Willie Gillis, who Post subscribers found themselves following over the years from his first days in the military through service and post-war adjustment. But, truth be told, it’s not just Rosie and Willie who are going to cost you a few dollars to collect. You can put together a nice post-war collection of Norman Rockwell covers mostly on the cheap (with exceptions, of course! 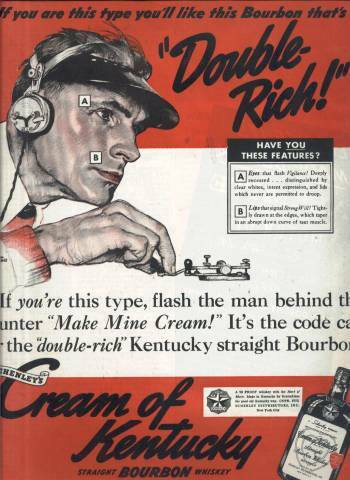 ), and his later work on the covers of complete magazines in decent condition from the 1960’s can still be had for single-digit dollar amounts in most cases, but expect to spend a few dollars when putting together your library of war and pre-war era Rockwell magazines. Remember, condition is key when putting together a collection of value and issues of the Post from the 30’s and tough to find issues from the 1920’s tend to have some wear and tear. Speaking of tear, another way to go is to collect covers torn from magazines … and for Saturday Evening Post I have a nice-sized stack of coverless issues that can attest to the old American tradition of tearing Rockwell covers for display. This is a much cheaper way to collect the classic Rockwell covers and those torn covers will fit in nicely with a collection of Norman Rockwell ads such as those shown below. 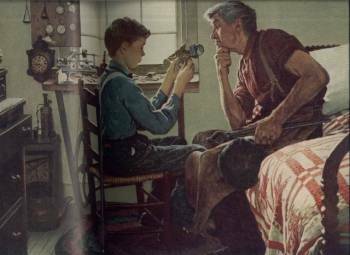 Besides the Post and Boy’s Life, Norman Rockwell’s work appeared on several other magazine covers including a few I have dealt with such as Leslie’s Weekly and The American Magazine. 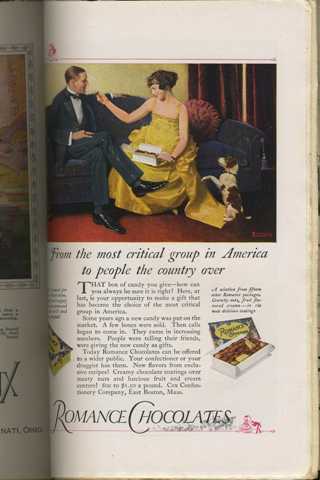 And of course we can’t forget his illustrations found inside the covers of magazines as well — I’ll sometimes find myself paging through a 1930’s issue of the Saturday Evening Post while preparing it for sale and find myself stopped cold by a beautiful full-color Norman Rockwell illustration alongside a piece of popular fiction of the day. Again, stop work, open the photo editor, scan the page. Now if that’s my reaction as somebody selling magazines, imagine a reader’s reaction back in the 30’s upon reaching that Rockwell page. I’m sure it stopped them as well. 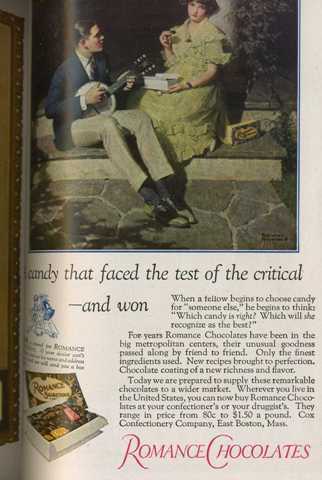 So then we’ve established that a Norman Rockwell illustration will stop me in my tracks, and we know they captured the imagination of his contemporary readers, what better way to cash-in than to use Rockwell’s work to sell products? 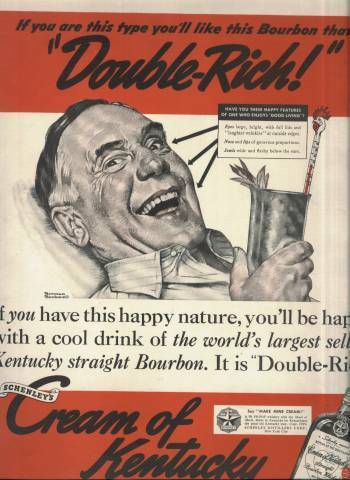 As you’ll see below, the range of products that used Norman Rockwell ads was wide–from soft drinks to whiskey to corn to even movies. In every case the distinctive work of Norman Rockwell makes the product spring to life and makes a unique appeal to the everyman that he so often painted. 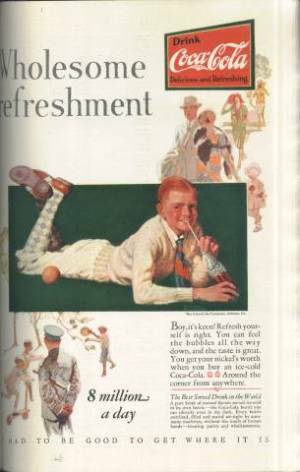 I’ve included the magazine titles and issue dates in which I have located these Norman Rockwell ads, but you may also come across the same images in different titles or issues. At the same time, you will certainly find them in the issues I have listed if you want to hunt them down (providing someone else hasn’t ripped them already!). 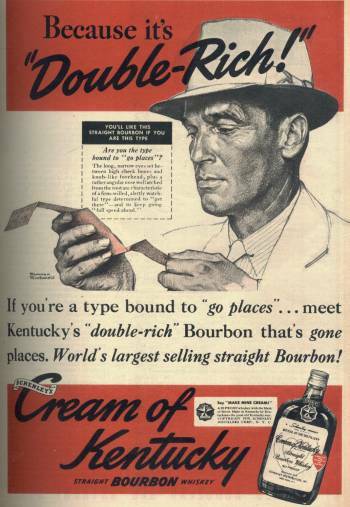 Norman Rockwell ad for Ford in LOOK Magazine, February 10, 1953. This is actually a 2-page ad with text at the left. 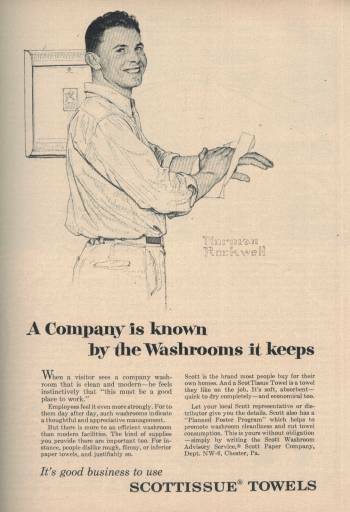 Norman Rockwell ad for Scottissue Towels in Newsweek Magazine, May 30, 1955. Norman Rockwell ad for Massachusetts Mutual Life Insurance Company in Newsweek Magazine, September 19, 1955. 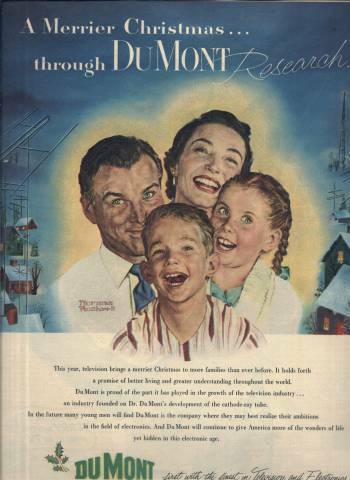 Norman Rockwell ad for Scottissue Towels in Newsweek Magazine, December 19, 1955. 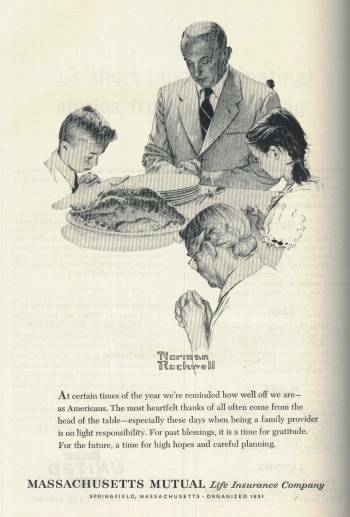 Norman Rockwell ad for Massachusetts Mutual Life Insurance Company in Newsweek Magazine, November 19, 1962. 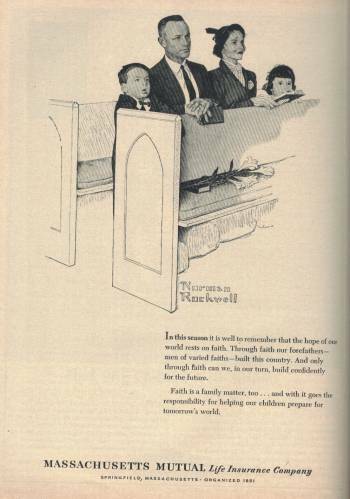 Norman Rockwell ad for Massachusetts Mutual Life Insurance Company in Newsweek Magazine, April 15, 1963.